As and when a woman conceives, her body would start undergoing a sea of physical and emotional changes. With the hormonal levels rising rapidly during the first few weeks of pregnancy, a woman would start to experience several issues and conditions that if not controlled, can lead to complications during pregnancy and birth. It is quite common for pregnant women to experience changes in their blood pressure levels during pregnancy. While most women would experience low blood pressure levels during the initial stages of the pregnancy, some would experience sudden spikes in the blood pressure levels which could cause serious complications in the pregnancy. Blood pressure levels are regularly checked during antenatal appointments. This is done to make sure that the change in blood pressure levels does not affect the health of the mother and the fetus. It is considered imperative to understand how the blood pressure levels in the body would fluctuate during pregnancy. Doing so would enable one to be prepared for unforeseen emergencies. Accordingly, the blood pressure levels in the body would drop during the first few weeks of the pregnancy. This can be considered as the body’s natural reaction to the sudden increase in the levels of the progesterone hormone (which would cause the walls of the blood vessels to relax). The drop in blood pressure levels would result in dizziness and nausea at times. The blood pressure levels would also remain low throughout the first and third trimester, and come back to normal during the last few weeks of the pregnancy. 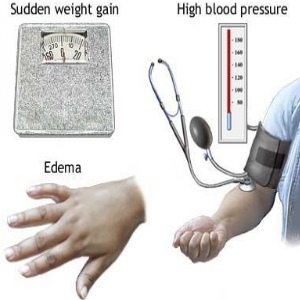 Very often it is not the low blood pressure levels that one needs to be worried about, but high blood pressure that could put both the mother and the baby at risk of several health related complications during pregnancy and afterwards as well. Accordingly, high blood pressure levels in the body can cause the following conditions in pregnant women. High blood pressure levels in pregnant women can sometimes reduce the blood flow to the placenta, thereby cutting off the regular supply of oxygen and nutrients to the fetus. This can cause serious hindrances in the normal development of the baby. In certain cases, the placenta would separate from the uterus and cause excessive internal bleeding in the mother in addition to cutting of the oxygen, nutrient supply to the fetus for good. High blood pressure levels during pregnancy can cause premature deliveries as well. In most cases, the delivery would be initiated by the doctor in order to save the lives of both the mother and the baby. High blood pressure levels during pregnancy can put a woman at increased risk of developing cardiovascular diseases later on in her life. And this would happen even if her blood pressure levels return to normal after the pregnancy. In this case, the woman in question would develop high blood pressure after about 20 weeks into her pregnancy. The condition is usually harmless and would go down automatically after pregnancy. A woman suffering from chronic hypertension would develop high blood pressure levels before her pregnancy or before 20 weeks of pregnancy. She would most probably experience the condition for a few weeks after child birth. While the above mentioned conditions would not cause any serious health related concerns during pregnancy, a condition called preeclampsia which usually develops after 20 weeks of pregnancy can seriously affect the health of the mother and child. Caused by either one of the conditions mentioned above (gestational or chronic hypertension), preeclampsia is characterized by very high blood pressure levels and the presence of high protein levels in the urine. The symptoms of preeclampsia can progress over time or can cause sudden side effects in the body that would be hard to ignore. Some of the more serious side effects associated with preeclampsia in pregnant women include migraines, vision problems (increased sensitivity to light, blurred vision or loss of vision), swelling in the face and hands, abdominal pain and abnormal weight gain (more than 5 pounds in just one week). In most cases of preeclampsia, doctors would recommend inducing labor to deliver the baby a few days before the due date in order to avoid complications. Depending on the severity of the situation, the patient would be given medications to curb seizures and other complications during the delivery. Severe cases of preeclampsia would in some cases warrant a C- section to deliver the baby. Although the best and safest cure for preeclampsia during pregnancy is induced delivery, there are a few medications that can help bring down the blood pressure levels without causing any serious side effects to the mother or baby. These medications would usually be prescribed by the doctor after carefully ruling out other forms of treatments to bring the blood pressure levels down. It is considered imperative that the medication prescribed by the doctor for preeclampsia is taken regularly and in the right dosage as mentioned by the doctor. Stopping the medication after some time or changing the dosage would cause side effects as well. Never miss these appointments and make it a point to get your blood pressure levels and urine checked during every visit. If you have been prescribed medications to control your blood pressure levels, makes sure you stick to them even if you feel well. Don’t skip taking the medications and follow the dosage as prescribed by the doctor. Don’t attempt to stop taking the medications or change the dosage without prior consent from the doctor. Don’t stay bed ridden during pregnancy unless advised otherwise by the doctor. Make it a point to exercise regularly in order to remain fit and healthy during pregnancy. Opting for small exercises like walking, swimming or yoga can keep you fit in addition to preventing conditions like high blood pressure. It is considered imperative that you gain at least 12 kilos of weight during pregnancy in order to support the growth and development of your baby. Some of us would tend to put on too much weight during pregnancy though. Being overweight can put you at increased risks of contracting conditions like preeclampsia. Eat healthy, nutritious foods while keeping a sharp check on the salt intake. Talk to your doctor (or a nutritionist) about creating the best diet for you during pregnancy and stick to it in order to gain the right amount of weight in a healthy manner.